The AIA Northwest and Pacific Region (NW+PR) recognized Hennebery Eddy Architects, Portland, Oregon for outstanding contributions to the profession of architecture through a firm’s commitment to excellence in design and elevating the quality of the built environment. The award was presented during an Honors and Awards presentation on November 15 at the Bishop Museum in Honolulu, Hawaii. Hennebery Eddy Architects is a firm driven by the values of the Pacific Northwest: SIMPLICITY, EFFICIENCY AND BEAUTY. During the firm’s 26-year history, they have made a significant impact on our region’s built environment. 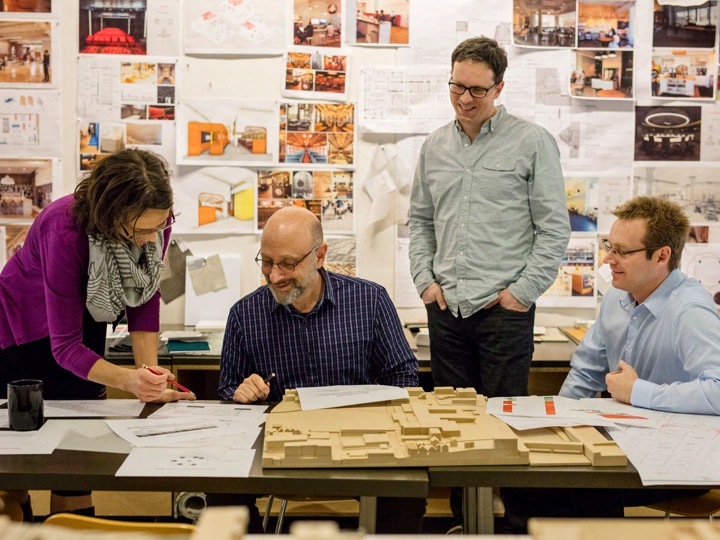 Growing to a team of 57, they have retained the spirit and energy of an emerging firm while building an award-winning portfolio of historic preservation, adaptive reuse, campus and urban planning, interior design and new construction projects. This evolution and growth reflect the thoughtful, holistic development of staff members, an entrepreneurial spirit at the individual and firm level, and collaboration with clients and partners whose values mirror their own. Hennebery Eddy’s work is characterized by well- crafted and thoughtfully detailed designs that respond to clients’ needs. They consistently push the programmatic requirements of projects to create inspirational, environmentally conscious and meaningful places in the community. The AIA Northwest and Pacific Region (NW+PR) 2018 Firm Award recognizes outstanding contributions to the profession of architecture through a firm’s commitment to excellence in design and elevating the quality of the built environment. The Firm award will be presented during the Honors and Awards program on November 15 in Honolulu, HI as part of the AIA Honolulu Design Symposium 2018. • Firms must either have their principal home office within the region; or for firms whose principal office is outside the AIA NW+PR, the firm must have been in continual operation from an estab- lished branch office within the Region for a minimum of ten years (August 20, 2008 or earlier). • The Principal(s) submitting for the award must be a member in good standing with the AIA and the assigned component chapter within the AIA Northwest and Pacific Region. • Firm supports staff membership in the AIA. • Firms that have won the award in the past or have previously won the National AIA Firm Award are ineligible. The AIA Northwest and Pacific Region (NW+PR) recognized Mithun for outstanding contributions to the profession of architecture through a firm’s commitment to excellence in design and elevating the quality of the built environment. For decades, Mithun has advanced high-performance design, equitable/just communities and natural ecologies, transcending disciplinary boundaries to tackle the critical challenges of our time. The award was presented on October 26 in Seattle, Washington as part of the Honors and Awards celebration held in conjunction with the AIA Washington Council Civic Design Awards. 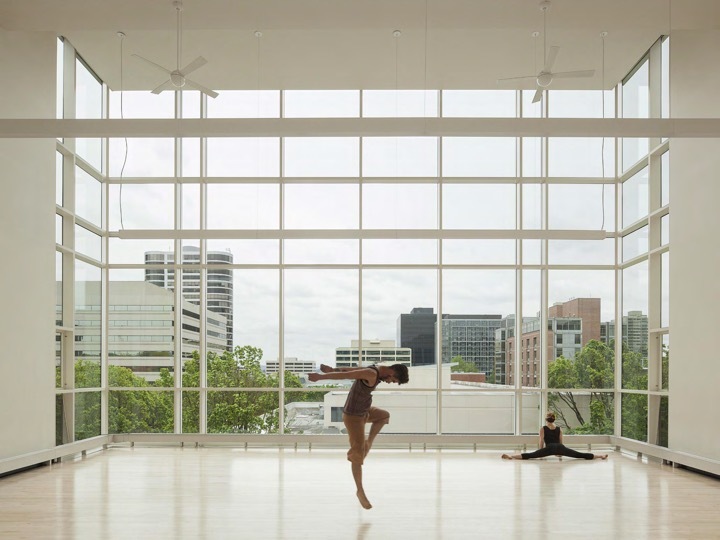 The jury felt the breadth and consistency of Mithun's body of work was impressive, given the multi-firm office works at a wide range of scales - from a Treehouse in West Virginia to a sustainable urban design masterplan for a Portland, Oregon neighborhood. Their approach to the practice of architecture includes numerous innovative examples, from hosting an open website that calculates embodied energy in building projects to exploring affordable housing through a publicly presented prototype "Inhabit." Mithun is a value driven practice that works consistently to advance sustainability and equity integrated with high design. For 60 years, Bora has set the gold standard in the region for that rare combination of leadership and success that all architecture practices aspire to: client-focused service, design excellence and innovation, a culture that nurtures staff, meaningful sustainability and community engagement, and financial stability. These achievements are even more remarkable in that they have remained consistent under three generations of firm leadership. This year's award to Bora Architects was presented on November 5 as part of the Honors and Awards Banquet in Fairbanks, Alaska.